Coupons for North Face Trail Running Shoes at finishline.com – If you are looking for apparel for your favorite football team, check out the selection at finishline.com, and pick up a promo code for up to a 20% discount before you buy! 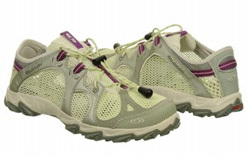 Trail Running Shoes: Up to 20% Off: Finish Line promo codes good towards trail shoes! View All Trail Shoes at finishline.com. Did you grab a discount code? Trail Running Shoes at Finish Line: Get a Coupon and Get Dirty: Trail running is one of my favorite activities, and I especially enjoy it this time of the year. The air is cool, the leaves are crunchy underfoot, and the woods where I run are usually a bit damp which lets you get a good whiff of that mulchy, earthy smell. Nice. For trail running I usually wear a rather chunky pair of New Balance, but The North Face has recently been releasing more minimalist shoes specifically for trail running, like the Nike Free Hyperfeel. I’m really considering getting a pair of these, as they are supposed to mimic the feel of running barefooted, which is probably a cool feeling when you are trucking through the woods! Head over to FinishLine.com to see their entire collection of trail running shoes, and be sure to use one of our Finish Line coupons if you are interested in picking up a pair. This entry was posted in running shoes, sale, womens shoes and tagged finish line, finish line coupon, free shipping, the north face, trail shoes on September 27, 2016 by kevin. Cool and Casual: Women’s Pumas on Sale at Shoes.com: The Puma brand has always been synonymous with cool and casual styling, mainly because of its attachment to the street skating culture of the early 90s. And while the classic Puma Suede hits a 10 on the freshness-meter (that’s a real thing, the Freshness-Meter – you can Google it), the rest of the Puma brand is pretty tight as well. Want to elevate your game? Check out the Women’s Puma Sky Wedge. These kicks will surely make a statement, and look great with a pair of skinny jeans. The retro vibe is strong with these joints, so be prepared for an epic 80s break dance session if you happen upon a big piece of cardboard while wearing them. Already have a pair (or 3) of the Puma Suedes? Then look to the Puma Aley. This shoe has a similar classic flavor as the Puma Suede, but with more of a sporty edge. Think the selection of Women’s Pumas at Shoes.com stops there? Wrong again, my friend! Shoes.com carries the Puma Holgram, the Nylon, the Classic Extreme, the Soleil, the Super Ripstop…and the list goes on and on. Never heard of those? Well go check them out! View all Women’s Pumas at Shoes.com – and don’t forget a Shoes.com coupon for extra savings! Looking for more coupons for Puma shoes? View all of our featured promotional codes which are regularly updated. This entry was posted in Puma, sale, womens shoes and tagged Classic Puma Suedes, Puma Aley, Puma Sky Wedge, Shoes.com promo code on April 4, 2014 by Ryan Rosenberg. 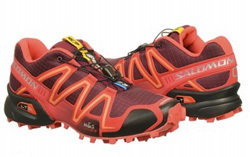 Hit the Trail – 25% Off Women’s Solomon Trail Shoes + A Promo Code! 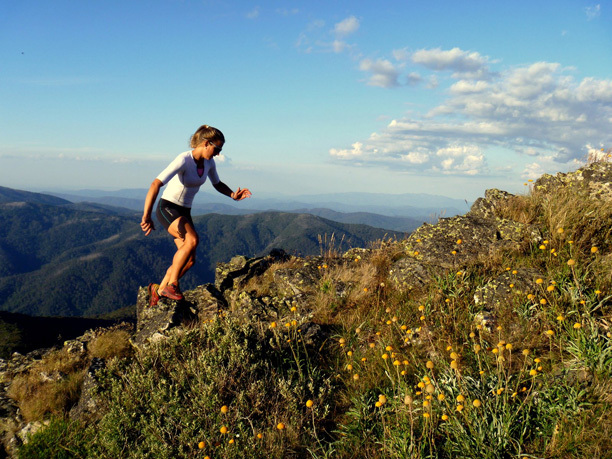 Hit the Trail – 25% Off Women’s Solomon Trail Shoes + A Promo Code! 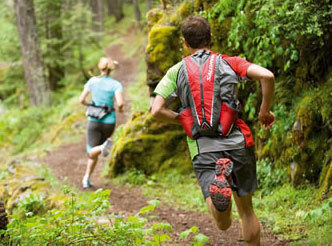 : Trail running is one of my favorite outdoor activities. The varied terrain breaks up the monotony of running, and you have to be hyper-aware of your surroundings – one minute you might be hopping over a log, the next you might be splashing across a stream. It’s a good mental, as well as physical, workout! 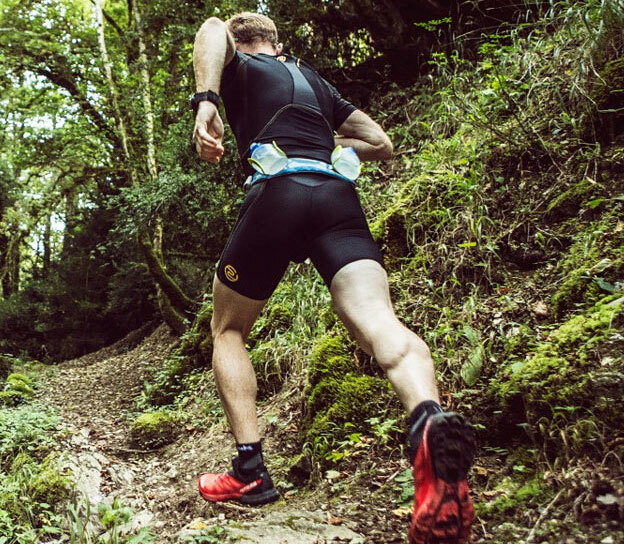 Trail running is also a great way to vary your workout and hit muscle groups that aren’t normally engaged with flat road running. You’re going to feel it after being out on the trails! Also consider the physiological benefits of being out on the trail (the Japanese actually have a term for it called shinrin-yoku or “forest bathing”), as research has shown that being out in nature reduces stress hormones and blood pressure. If you’re looking to get into trail running, or need a new pair of trail shoes, consider Solomon. 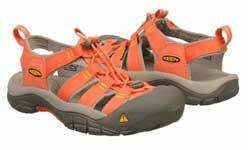 They are a premier brand for trail running shoes, and other outdoorsy-type footwear. And luck would have it that Shoes.com has recently marked down their selection of Solomon trail running shoes, with some on sale for up to 25% off! Stack on a Shoes.com promo code, and you’ll find some great deals! 1. Motivation – Have a partner who you often hit the trails with, and you’re less likely to skip a workout. 2. Pacing – Running with another person will encourage you to keep going, even when fatigue starts to set in. 3. Safety – Especially important in the woods or on the trail where there are many tripping hazards. 4. 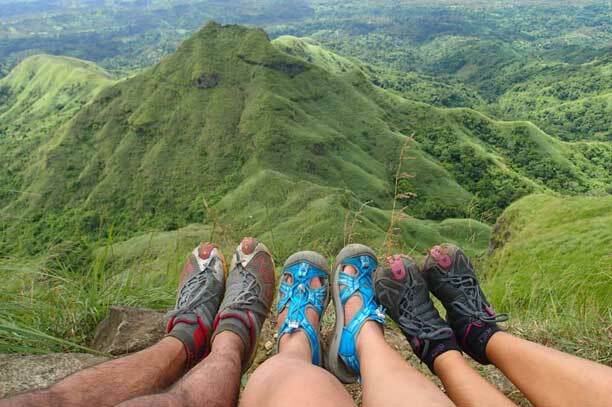 Shared Experiences – Being out in the woods or on the trail is a wonderful experience in itself. It’s nice to share it with another person. Hey, look, a deer! This entry was posted in running shoes, sale, Solomon, womens shoes and tagged benefits of running with a partner, Shoes.com promo code, Solomon Speedcross 3, Solomon Trail Running Shoes on March 26, 2014 by Ryan Rosenberg.